The decision to move is not always an easy one; getting your kids on board can be even harder. Packing personal belongings and leaving familiar places behind can be stressful for us but it is especially traumatic for children who may not understand why. Keep smiling. There are many reasons why families decide to move; some of these reasons include better opportunities in new cities, sudden financial issues, or to be closer to family. No matter the reason, be sure your attitude about the move remains positive. Children are intuitive and are more likely to put on a brave face when they feel that others around them are happy and excited. Make sure everyone has a part. Providing children with as much information as possible will help them feel a part of the decision. For instance, we find that kids consider their bedroom the most important aspect of their home. It’s important to The Rocca Sisters to have their clients children involved in the staging process.“We make it a fun and comfortable process for them and treat their bedroom as a special place, allowing them to feel in charge,” says Tanya Rocca. If there’s an opportunity, have your kids pick their bedroom in their new home, a new paint colour or let them decide on some of the décor pieces. This will help them feel in control of the change that’s about to take place in their lives. Visit the new area. If your new home is close by, visit the area as a family. Point out the parks, recreation centres, schools and other fun place where they’ll be able to continue doing the activities they love most. If you are moving out of town, show them photos and videos of the new area online. These tips will you make home buying a family affair. At the Rocca Sisters & Associates we help families every day with what is often their largest and most important investment: their family home. We take great pride being trusted with this responsibility and do not take it lightly. That is why we are ranked the #3 Sales Team in Canada for Sales Production and Volume for four consecutive years (2010-2014). We look forward to providing you and your family with an experience that is not just the best, but remarkable! With summer finally at our doors buyers are increasingly interested in homes that feature a stunning patio or outdoor pool. It’s great to note that pool inspections can be conducted the same way a home inspection is. Professional pool companies can look at your pool in detail and give an overall report so you can purchase a home with peace of mind knowing upfront of any issues that will need to be repaired. If spending time in the water is at the top of your wish list it’s important to also be aware and share Water Smart® choices with your friends and family. July 19-15 was National Drowning Prevention Week. “The event increases awareness, across Canada, of the need for drowning prevention. It also aims to promote awareness [and] reinforces the identity of the Lifesaving Society as experts in the field of drowning prevention…” Below are some Water Smart® Tips provided by the Lifesaving Society. Drowning is the second leading cause of preventable death for children under 10 years. Almost 500 people drown each year in Canada. Drowning is a fast and silent killer. It can happen in as little as 10 seconds. Victims rarely call, wave or signal for help because they can’t keep their heads above water. Over half of child drowning victims are alone. Keep your eyes on young children at all times around water. And stay close – within arms’ reach. At the pool or beach, put young children in lifejackets to keep them at the surface. This may give you the seconds needed to save a life. Stay tub-side until all the water has drained or you have removed your child from the tub. Restrict and control access to backyard pools by fencing all four sides. Empty and turn over wading pools and buckets of water when not in use. your child a lifetime of pleasure swimming. Toddlers get used to the water with their parents in an instructional setting. Enroll your children ages 5-12 in swimming lessons. At a minimum, they should be able to achieve the Lifesaving Society’s Swim to Survive standard – roll into deep water, tread for 1 minute and swim 50 m.
Swim in areas supervised by lifeguards. Ensure vigilant adult supervision in areas without lifeguards. In the backyard pool, designate an adult to be “on guard”. Insist your children always swim with a buddy, never alone. Make it a rule that weak or non-swimmers must wear lifejackets. Get the training. Ensure that family members learn lifesaving skills. For more tips on preparing your home for the warmer weather contact us at the Rocca Sisters & Associates office directly at 905-335-4102 or by email at info@roccasisters.ca. You can also visit the Lifesaving Society® www.lifesaving.org for more information on courses and lifesaving awareness events in your community. The name “Canada” comes from the Huron-Iroquois language and means settlement or village. For us, this holds a great deal of meaning. Our family, like most, are 1st generation Canadians. Our Father was born in Italy and came to settle in Canada when he was only 15 years old in search of a better life…and this is where our story begins. Embracing the opportunity this free life gave him, our father started in the development side of business which launched our family into real estate in the early 1950’s, making a lasting imprint on Atlantic Maritime provinces that is still felt today. Our family has enjoyed over a quarter of a century growth in construction and real estate development. This has instilled in us the value of hard work and the importance of a hands-on business approach. We are thankful for the opportunity Canada has given us and continues to give us, and we are proud to be Canadian, where the opportunities are endless and the cultural diversity is empowering. 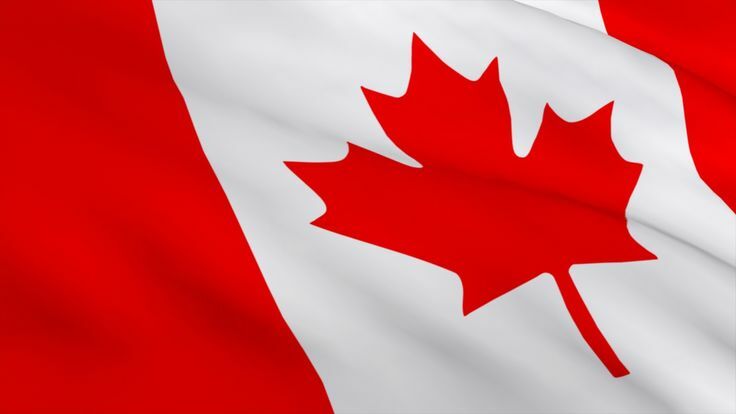 Canada Day offers a variety of activities to enjoy around our community. Visit Spencer Smith Park for Celebrations on Wednesday July 1, 2015 from noon till 10 p.m. There will be every activity imaginable including yoga, face painting, a dog show and this year’s headlining artist, Juno Nominee and TeenzFAV Award Winner Vita Chambers! It’s no wonder this Event was named one of the top 100 festivals and events in Ontario! Let’s not forget the spectacular fireworks show which brings a close to the night. This Canada Day we hope that you will reflect on what makes you proud to be Canadian and we wish you, your family and your friend’s great memories and a safe holiday. For great recipes & entertaining tips for Canada Day, visit our Rocca Sisters Pinterest Board!